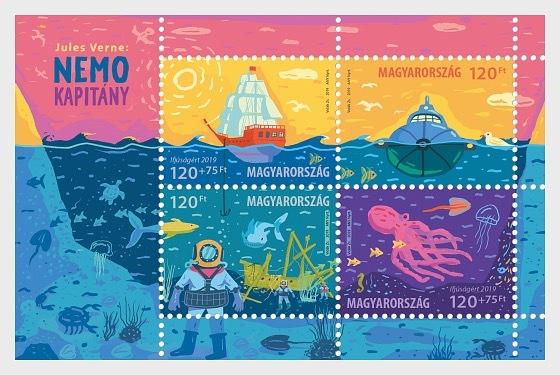 The theme of the miniature sheet with a surcharge to sup- port youth stamp collecting issued by Magyar Posta in 2019 is the novel by Jules Verne, Captain Nemo. 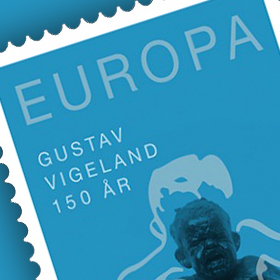 Magyar Posta devotes the amount of the surcharge on two of the stamps of the new issue, a total of HUF 150, to supporting youth stamp collecting. 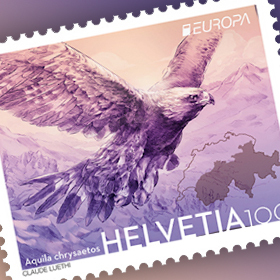 Two hundred thousand copies ofthe new stamp designed by the graphic artist Zsolt Vidákwere produced by ANY Security Printing Company.